Final Android P Developer Preview 5 (Beta 4) Available for Download - How to Install? Final Android P Developer Preview 5 (Beta 4) Available for Download – How to Install? Leave a Comment on Final Android P Developer Preview 5 (Beta 4) Available for Download – How to Install? Update: Final Android P Developer Preview 5, a.k.a. Beta 4, is now available for download. The factory Images are also available for download. See how to flash the Android P Factory Images without wiping data. You can also enroll into OTA Beta program. Here is the official Android Developers Blog featuring the changes. Android P 9.0 is the latest and by far the greatest update in the history of Android operating system. Introduced in the Google I/O 2018, it brings several AI features to the smartphones. It introduced new user interface, better AI support, improved battery life, and much more. It also features DNS over TLS support, introduced Google Lens, and upcoming feature called voice for Assistant will also be present in Android 9.0 P. So download and install the third iteration of the Android P Beta 3 called Developer Preview 4 for all Google Pixel devices and more. 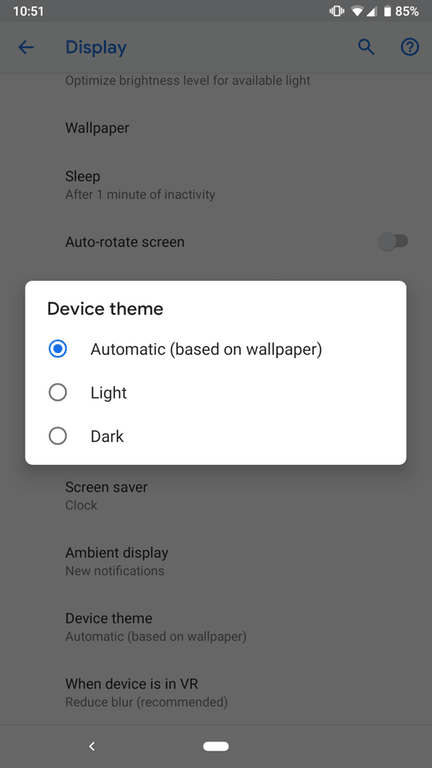 Android P Beta 4 comes with new firmware build number ppp5.180610.010. It also brings new APIs for developers for deploying the Android P supported apps on the Play Store. The Android SDK has also been upgraded to SDK 28. You may also like to see the release notes listed in the sources for known bugs. Android P Beta 3, also known as, Developer Preview 4 is already available for download since the beginning of this month with latest July 2018 Security Patch and a new Dark Theme; which is not automatic. You can read about the Android P DP 4 from here. Android P Beta for OnePlus, Xiaomi, OPPO, VIVO, Essential Phones, Sony, and more. How to install DNS over TLS in Android P? How to install Android P Beta 4 (DP 5) Factory Images without wiping data? Method 1: You can get Android P Beta 4 or Developer Preview 5 on Pixel devices by enrolling here. If you’re already enrolled in our Android Beta program, you’ll automatically get the Beta 4 update soon. Method 2: As the above listed files are all Android P Factory Images, you will need to flash them using Fastboot Mode. If your device is already on the previous Beta 2, then you will receive an OTA update. You can still flash the factory images without wiping data. See below. This trick will enable you to update Google Pixel devices to latest Android P Beta 4, provided, your Android device is already running the previous Android P Beta 3. Make sure your PC, MacBook, or Linux machine has ADB and Fastboot environment setup. You can use the 15 second ADB installer from here. You may also download platform tools from here to use adb and Fastboot interfaces. Download and extract it on the desktop. Enable OEM Unlock, USB debugging, and Advanced Reboot from developer option on your Android device. Download the latest Android P stock or factory image for your device from above. Extract the factory image to a folder where ADB and Fastboot is available or installed. Enter the extracted folder. You will see a batch file called ‘flash-all.bat’. This script is used to automate the flashing process. Now, download and install Notepad++ to your computer. As we don’t want to wipe data, we will sue the Notepad++ to edit the stock firmware image. Open the ‘flash-all.bat’ file with Notepad++; at the end of the text, remove ‘-w’ (it’s written without quotes) and save the file. Now, open a command prompt or terminal in the folder. Connect Android device to PC. Type in adb devices in cmd or terminal to ensure connectivity. Now, simply run the ‘flash-all.bat’ file. The flashing will start and device will reboot into Android P Beta 4. For Mac OS/Linux execute the command./flash-all.sh and wait a few minutes.